Let’s talk about Birmingham. Over the past 18 months the town of Brum has gone from assumed carbuncle to acknowledged cultural space. The emergence of Peace and the heart-on-sleeve pride in where they came from - remember that billboard in the city centre – put all eyes back on B-Town and the subsequent realisation it was full of decent venues and some good bands has put it comfortably back on the map. But everyone’s stopped talking about Birmingham ‘the idea’ now, haven’t they? And with that in mind, what happens to the bands and venues that were once under such blindly positive media scrutiny? Well, it needn’t matter for Superfood. Debut single ‘Bubbles’ excelled as a merging of college rock and Britpop and their upcoming EP further impresses, offering something of a justification as to why their one of this year’s ‘potential guitar music saviours’ – not that it needs, or has ever needed and real saving. 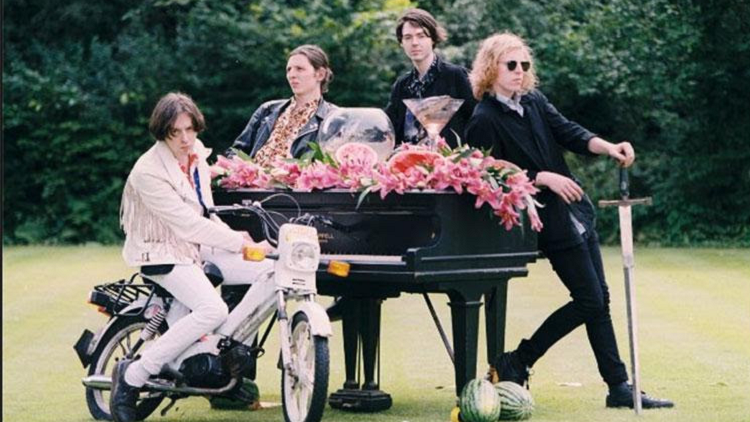 We asked the band to tell us what inspires their life and art, they came back with a selection of places, songs and peers that offer an idea of ambition, admiration and band acclimatisation. The Jewellery Quarter was pretty instrumental in the foundations of Superfood. We lived, recorded demos and hung out here the year before and during the first year of being together. It situated close to the city centre but it was nice to use all of its facilities and feel like you were in a little bubble. It creates 50% of all the UK's jewellery in an area that takes no longer than 10 minutes to walk end to end. 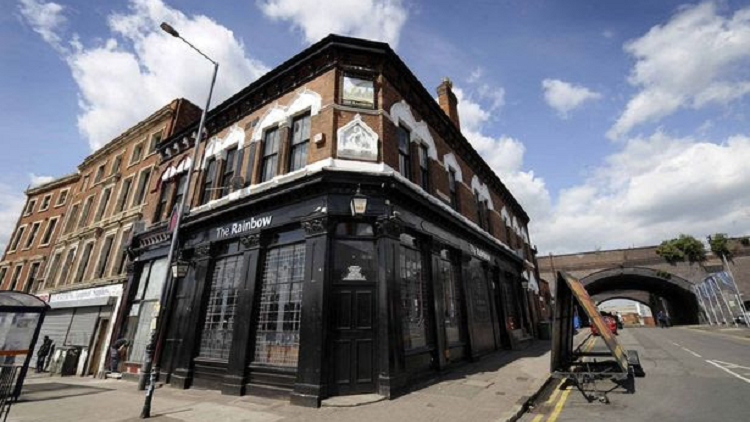 There are some really cool bars like the Rose Villa and The Lord Clifden where it was easy to go for a quick one or equally have a massive night. 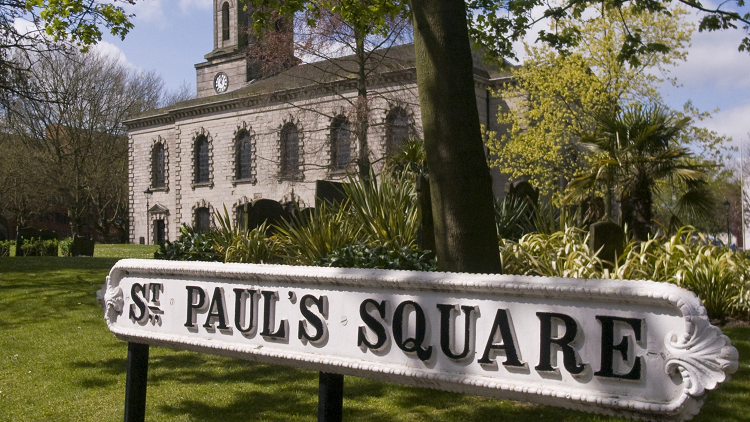 Our favourite part of this area has to be St. Paul's Square where in the summer after spending time in Ryan's apartment or the studio we rented. We would go down, sit on the grass and listen to what we'd recorded and end up being there for hours. A favourite tune from one of our favourite albums All Things Must Pass. Definitely one to end the night on! Big stupid dogs that bump into things and get excited about you standing up. Small dogs that are really fast. Fat dogs that a really slow. DOGS. When we first started writing songs and recording demos we were limited in the sense that we only had a bedroom to do it in. With no drum kit around to provide beats, we had to turn to samples to provide rhythm for our demo's. Instead of using MIDI drums or Loops that came with Logic we used loops that had more character and had once actually been recorded to tape, played on vinyl then uploaded back onto the internet for us to steal for Superfood demos. There's a sense of realness and accomplishment you get from making a sample work in your own song that you don't from plonking MIDI stuff in. One of favourite new bands in the world. This period of time was a bit of a wake up call for us. We were working normal jobs, paying rent and doing all the things your supposed to do and that we really didn't want to do. Seeing our mates fulfil dreams and move away to different cities was hard for us - stucking in Birmingham and going nowhere. October 2011 saw us say 'eff that' and begin writing music together, so far it seems like it was a pretty good decision. Its not a direct influence in terms of sound or the direction of our band, it's just an amazing tune that is an easy go-to song wherever you are. The Blockheads were one of the best backing bands of all time and the overall vibe on this is just fun, cheeky, cool a lot like I imagine the man himself to be. When Peace started Harry asked me if I could help him out with recording some demo's and I ended up helping record all his ideas for their first album. Seeing the way they wrote songs and the sounds Harry can dial up on guitars is pretty special. Every member of both ours bands knows each other well and all have relationships outside of music. When we went on tour in the UK and Ireland it was a great experience for all involved. Seeing there attitude to playing live and their, kind-of, discipline at shows made us want to step up our act performing live. They're very inspirational blokes indeed. It's where we really met and started talking - on a couch and very loudly in each others ears - at the back of the party. We were telling each other how much we love each other and how we HAVE to start a band and NEED to start jamming soon. Our mate Bunny is a resident there and Terence P. Wade was on the door and they used to get us in cheap or free most weekends. 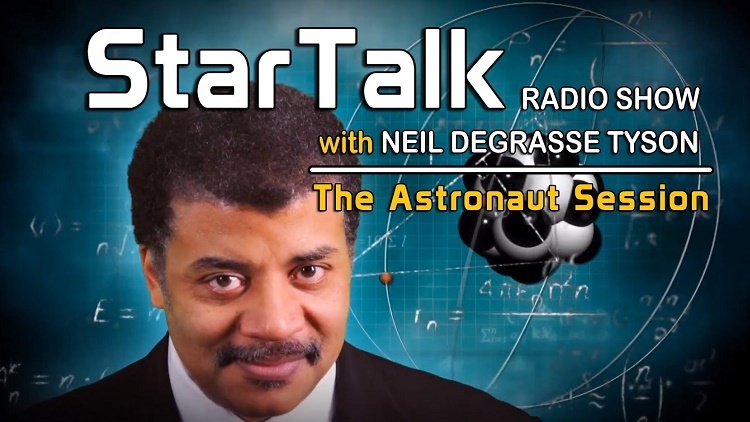 It seems as though as 80% of the time Ryan has one earphone in listening to this guy yap away about the solar system, must be some inspiration in there! 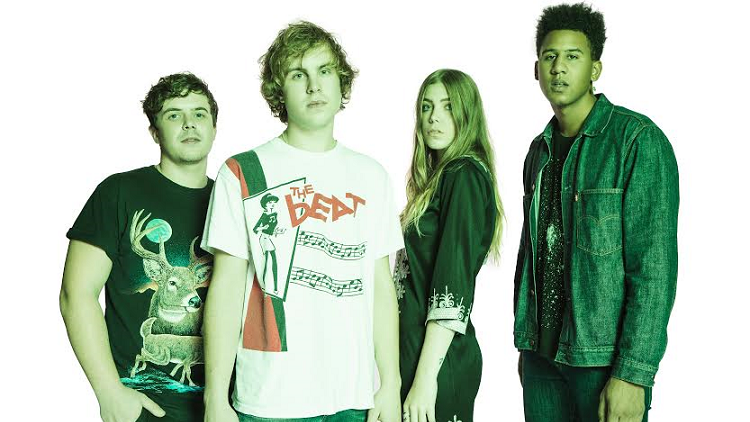 Watch Superfood's excellent video for new single 'TV', below.